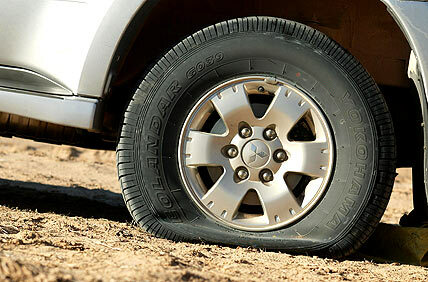 Unfortunately, tyres can get punctures and it always seems to be at the wrong time. 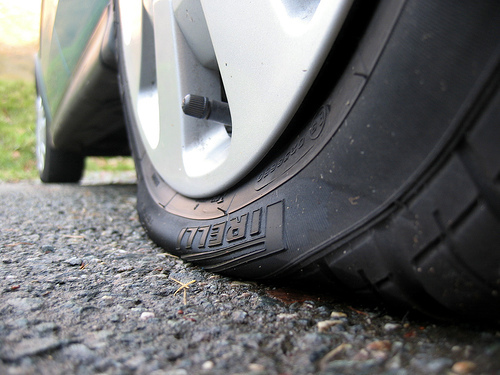 It is imperative that you do not drive on a flat or under inflated tyre. Modern tyres are remarkably tough and resilient and stand up well to our relatively poor quality roads. But it is very hard to avoid the occasional screw or nail that has bounced out of the back of a tradesman utility. Should you be unlucky and get a flat tyre, Continental Murrumbeena has the right trained mechanics and equipment to get you back on the road fast. The days of repairing a tyre tube are long gone as modern tyres are tubeless. So we can repair most tyres by inserting a repair plug to seal the hole. However, some nails and screws can cause the tyre to delaminate or damage the sidewall making the tyre irreparable. We hope this doesn’t happen to you, but should this be the case, Continental Murrumbeena has a massive range of tyre brands to match your existing tyres. We may even have a second-hand tyre that has passed our safety inspection that could save you the price of a new tyre. Note that today’s low profile tyres are prone to sidewall damage if you travel far with the tyre underinflated or flat. Do not wait until you can see the tyre is losing air pressure. By the time is visibly low on air pressure, it is in danger of damaging the side wall structure. Check the air pressure at least once a month and stop immediately that you see signs of deflation. You can also do other motorists a favour by pointing out an under inflated tyre before it becomes dangerous.